Markus Rydberg | New Ride! Well Sweden hasn’t really delivered the gods this spring. Can’t remember last time it was this calm here.. It’s really frustrating as I feel really good on the water atm and want to train more before the PWA season starts! Well, not that much you can do about it. In the meantime I have got a new ride. 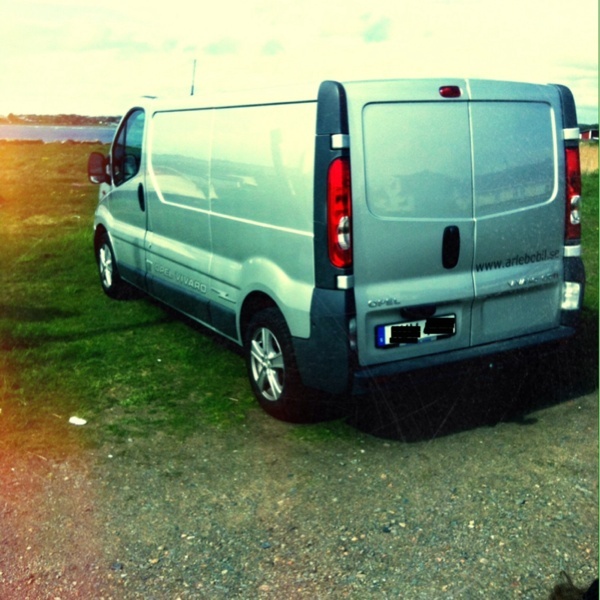 It’s an Opel Vivaro that will take me to the sessions and euro-comps from now on. I’m super stoked and a big thanks to Ärlebo bil for your help! Now my mission while waiting for wind is to rack it up inside and pimp it looks. Will keep you updated with it’s transformation! http://markusrydberg.ezyserver.se/wp-content/uploads/2014/06/markuslogga1.png 0 0 Markus Rydberg http://markusrydberg.ezyserver.se/wp-content/uploads/2014/06/markuslogga1.png Markus Rydberg2014-05-21 21:44:452014-09-10 11:39:09New Ride!